Choosing a property management software is an important choice for any vacation rental company. The property management software is the “engine” for your booking process. Choosing the right engine is critical to the success of your rental company, and like car engines, they are expensive and difficult to swap and move around. 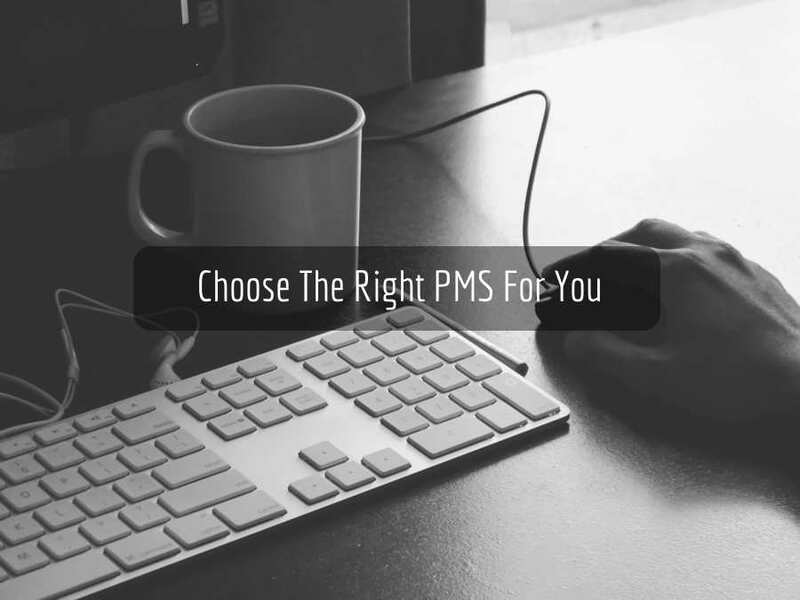 If you are reading this and planning a switch, you’ll want to choose the right property management software. “Right” is a relative term; you’ll want to consider the number of properties, your website needs, features and cost as part of this choice. The best choice for you may not be perfect for another vacation rental company. Up first, you’ll want to consider the cost of your booking engine. When deciding to pick between the choices of booking engines, you’ll obviously have to look at the cost of your options. Many booking engines charge per user or also it’s very common to charge per unit that you’re renting out. Another pricing structure may take a percentage of every booking plus a setup fee. These will all vary depending on the options you’re looking at. It’s easy to do simple math for each option and find how much cost you’ll incur with each booking engine; so as you’re researching the various options, you’ll want to carefully note these costs and save them for review. What is cost effective for someone with 100 rental units may not be for you if you have 25. The fees can be a major choice when choosing a booking engine but don’t make your decision based on cost alone. This software is critical to the success and productivity of your business; you’ll want to choose the platform that allows for your employees, marketing efforts and future plans for scaling fall in line with the software. Another major function with a booking engine is the ease of use. If you are looking at a software as a service product or all in one solution that offers websites, you’ll want to carefully look at those websites for their user experience. Many companies with these all in one style platforms are praised for their interconnectivity, but often lag behind on user-friendly features like easy-to-use content management system and fast and easy booking processes. Locking all your critical vacation rental information into one platform has serious pitfalls: you lose the ability to choose the best vendor for each particular area of your business. If you’re researching any platform, contact the booking engine provider and ask for some real world example websites built on their booking engine. You want to go through the booking process and see what type of information is needed to book and how easy the process is. Of course you’ll want to demo the back-end panels and areas as well. But, don’t forget that a great admin interface doesn’t matter at all to your guests. Guests demand a modern, clean website that’s responsive, easy to book on and is fast. Get a software demo before purchasing; many booking engine providers offer free live demos so you can see how the interface looks and performs. If you’re close to choosing a property management software, bringing in the manager of your rental properties who will actually be using the software can save tons of future headaches. While the owner of a company may be impressed by a long feature list, the vacation rental manager will likely have more insight into how the day-to-day operations of your rentals works. Paying for features that your team won’t use is a waste; while skimping on cheap software to save a few dollars could cause countless hours of redundant work down the road. Finding the right balance is important to allow your rental operation to run smoothly. As I mentioned above, we’re fans of “parting out” your software. While many companies offer all in one solutions, we’ve yet to see any that excel at every function of separate software. One large industry vendor is popular for their interconnecting services: websites, rentals management, payment gateways and even services, but the interface is dated. It offers no blogging engine built-in, and simple website changes requires a tutorial every time you use the software. Clients we’ve had that use all one software are switching away from these platforms. While it can be appealing to have everything in one place, the user experience of your guests and your managers can suffer. When you part out your rental management software into a custom built website, separate booking engine and payment gateway as well as email, you can swap vendors much much easier. You’ll have more control over your company and it’s inner workings and won’t have to worry that any one vendor controls your online experience. Obviously, we’re most likely to recommend you build your next vacation rental website with us, but having the choice can be a great reason to go with parted out software. If you’re not happy with the website performance from one vendor, a property management software with an open platform can allow nearly any website development company to create a site that’s perfect for you. If you’re not familiar, an API is an application programming interface. Basically, it’s a fancy way of saying that your rental information (photos, pricing, coupons, availability) can “talk” to another source. Is this case, your booking engine can “talk” to a custom built website. This is great as it allows for accurate booking information to be passed along to your website from the booking engine and vice versa. This a huge deal for any vacation rental manager. Instead of being limited by templates and “themed” designs from other companies, you can create a custom website experience from scratch and make it just how you like it. Creating a custom website with a well-documented API isn’t overly difficult for an experienced web development team. With the right tools in place, you can create a custom website that fits all your business goals with no compromises. For example, many of our clients want custom quick search boxes with just the right options for them. With an open platform to work off of, we can create those custom search boxes and customize them to fit their needs. If you require flexible dates to check in, we can build that within your website or quick search box. Other platforms cannot have that functionality in their systems. While researching for the right property management software, you’ll find dozens of options. Some are from market leaders in the space while others may be smaller start-ups with great ambitions but no profits to show for it. Consider the history of the property management software. Do they have a commitment to creating great products for the long haul? As I mentioned above, switching out these systems isn’t cheap or fun. It can cause all manners of headaches for not only you, but guests who have booking during your process of switching. Finding a vendor that has a long history of stable software released, adding new features after feedback and constant updates to their user interface is paramount to your long-term relationship with them. Research a vendors history and ask around if possible with their clients about their history of support and feature requests. Sometimes, those finishing features can make the whole difference in your productivity and impact of using any software. For me, little things like keyboard shortcuts in a well-executed application can make me enjoy it all the more. Here’s a short list of functionality that you may want to review in any property management system to make your life a little easier. Account user features like control, permissions and more. Marketing features like promo codes and discounts. Ease of use & mobile friendly admin area or website creation. Online payment options for their fees and charges. I hope you’ve learned about a few options and things you can consider when choosing a property management software. It’s a serious decision for your vacation rental company and you should do plenty of research and asking around to make it right. Of course, the team at InterCoastal Net Designs is very familiar with the various options out there and would be glad to refer to the best vendor for you. Contact us if you’re having questions or would like an industry pro to help you make the best choice for you. If you’re looking for specific booking engines, check out our partners page for great options like Lodgix, Homeaway and Barefoot products.